“In the same way the Spirit also helps our weakness; for we do not know how to pray as we should, but the Spirit Himself intercedes for us with groanings too deep for words; and He who searches the hearts knows what the mind of the Spirit is, because He intercedes for the saints according to the will of God” (Romans 8:26-27 NASB). The Spirit is the most effective prayer partner we could ever have. The Spirit helps us pray for things that go far beyond our understanding. The Spirit prays through us for things at times that we do not even fully know. 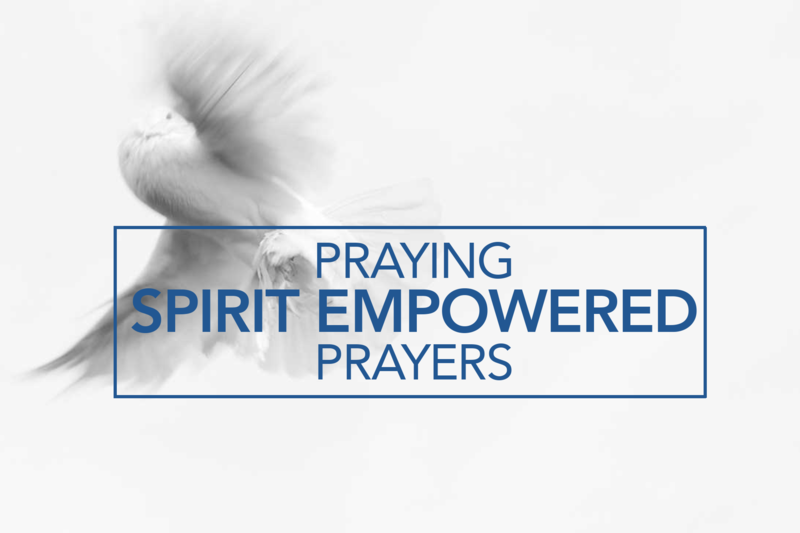 The Spirit inspires prayers in us when we may not even feel like praying. The Spirit lifts faith, brings compassionate tears, and ignites joy in our praying. The Spirit reveals things to us so we can pray with more focus. The Spirit often brings the Scriptures to us so that we can stand on them claiming victory. The Spirit literally joins us as a real tangible partner in our prayer times. The Spirit, who joins Christ in the Trinity with Father God, lifts us into this fellowship as we pray. Spirit partnership in prayer is far more than a new prayer language. It is a real prayer partner! In his letter to the Romans, Paul speaks of having peace with God through Jesus Christ and having been introduced or gained access by faith to a position of grace with the hope of glorifying God (Romans 5:1–2). The challenge for many is moving beyond the introduction or from mere acquaintance to a true intimacy with the One who is beyond full comprehension. This month, we invite you to join us daily as we move from our complacency, press in to know God personally, and commune with Him intimately. Praise God as the all-knowing, ever-present, all-powerful, most-high God who brought the universe into existence with the word of His mouth, yet He invites us to know and experience a deepening relationship with Him (Isaiah 43:10–12; Romans 11:33–36). Thank the Lord Jesus Christ that by His Holy Spirit, He has introduced you to the Father’s grace, mercy, and peace that become the platform for knowing Him more deeply (John 1:16–18; Romans 5:8; Hebrews 10:19–22; 2 Peter 1:3–8). Confess your desire (or lack thereof) to move beyond the restraints of time, personal agenda, and cultural pressures to know Him (Philippians 1:9–10; 3:7–11). Ask God to teach and empower you to imitate the worship atmosphere of heaven when you commune with Him (Psalm 100:4; 103:1; Isaiah 6:1–3; Revelation 4:8–11; 5:11–14). Acknowledge your longing to listen to and obey His voice, reaping the promised blessings from doing so (1 Samuel 3:8–9; Luke 10:38–42; John 14:21, 23). Assume a posture of meditating and listening for the voice of the Lord through His Holy Spirit and Word (Psalm 1:1–3; 119:15; John14:26–27; 16:12–15). Pray and intercede according to what you sense the Lord speaking to you—not only for yourself but for others (Romans 8:26; Ephesians 6:18; 1 Timothy 2:1). Express gratitude for the joy of intimate communion with Christ and a willingness to continue walking in obedience to His directives as you love Him and live your life on mission with Him (Matthew 22:37–40; John 17:13–23). Cry Out to the Lord: Reset My Walk with God, by Intimate Life Ministries(Broadstreet Publishing ISBN: 9781424551231). 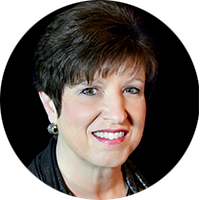 Kay Horner is executive director of Awakening America Alliance and The Helper Connection. Kay has served in a variety of ministry roles including executive director of New Hope Pregnancy Care Center and administrator for Voice of Salvation Ministries. While Christian education minister for World Impact national television program, she provided insight segments for the agency, and she has been ministry projects coordinator for the Center for Spiritual Renewal. Kay currently serves as executive director for Awakening America Alliance and a newly established initiative, The Helper Connection. She is the author of “The Christmas Dance” and is a member of the National Prayer Committee and Mission America Coalition/U.S. Lausanne Committee. The heart of God, as revealed to John in Revelation, is that people from all nations will stand before the throne of God. “After this I beheld, and, lo, a great multitude, which no man could number, of all nations, and kindreds, and people, and tongues, stood before the throne, and before the Lamb, clothed with white robes, and palms in their hands“ (Revelations 7:90. The whole world is in dire need of the Savior, now more than ever before. For the kingdoms of this world to become the Kingdoms of our Lord and of His Christ (Revelation 11:15) we must pray “Thy Kingdom come, thy will to be done on earth as it is in Heaven” over the nations and believe God will save them, for “Blessed is the nation whose God is the Lord” (Psalm 33:12). As we await the imminent return of Our Lord, our goal should be that all the nations will hear, serve, and know Him, so that the salvation he offers will be received by all. We invite you to join us in praying that the nations will embrace the Lordship and love of the Almighty God. Praise God that He rules over all the nations and they belong to Him (Psalm 22:28; Psalm 24:1). Ask God to forgive us for any way we have failed in proclaiming His love and rule to the nations (Mark 16:15). Pray for God to open the eyes of all the nations to His redemptive will for each of them (Luke 1:68). Pray for the leaders of all nations, especially all presidents, prime ministers and the parliaments/congress, that they will acknowledge and seek God (Isaiah 11:3-4); Rev 1:5). Ask that He give us the heathen for our inheritance and the ends of the earth for our possession (Psalm 2:8). Pray that the Lord will open the doors to the “closed nations” so that they will embrace the love of God (Psalm 24:9). Ask the Lord to send laborers into the harvest, for the fields are white unto harvest (Luke 10:2). Pray for the Lord to use you to go, send, or pray for world evangelization (Matthew 28:19-20). Pray for peace, righteousness, and salvation to saturate all nations (Proverbs 14:34). Pray for the Body of Christ to rise up and make an impact in all spheres of your nation and help bring the Lordship of Jesus in every nation (Revelation 19:16). Pastor Michael Obi is the National Coordinator of the African Strategic Leadership Prayer Network, (ASLPN) and a cabinet member of the Awakening America Alliance, representing the African continent. 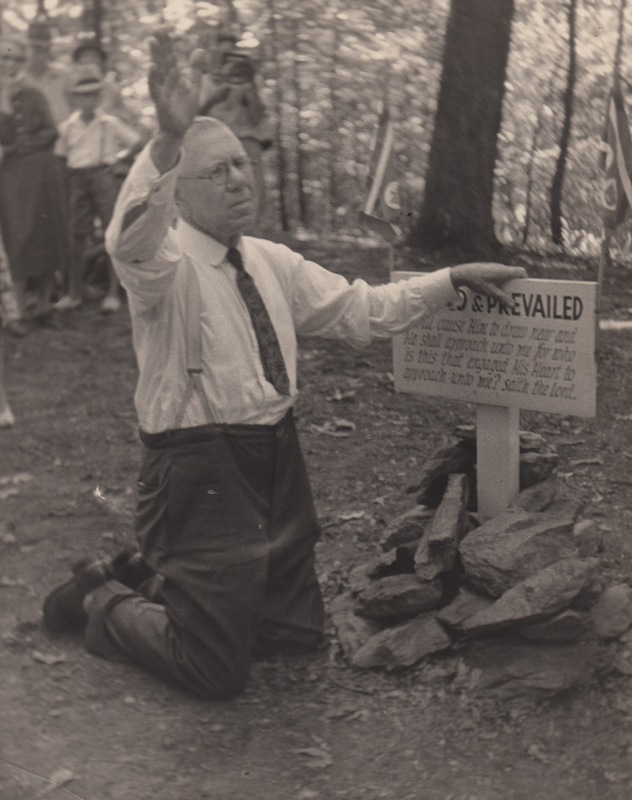 He is also the Pastor of Mount Zion Prayer Center Church in Cleveland, Tennessee, and serves in many other organizations, mostly on the area of prayer. Fasting was an expectation of Christ for His disciples. In Matthew 6:16, He said, “When you fast” not “If you fast.” He modelled fasting as an effective and necessary part of His prayer life with the Father. 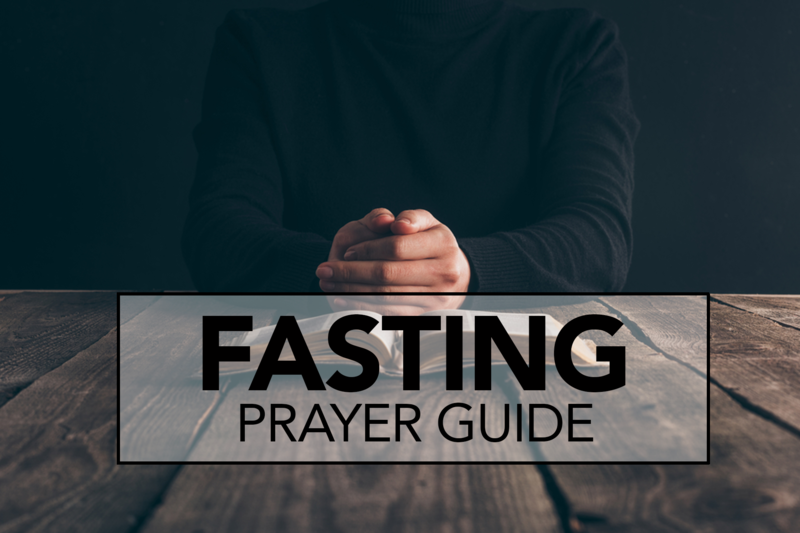 Although many Christians participate in fasting for dietary and physical reasons, there are benefits reserved for those participating in fasting as a spiritual discipline. All too often Christians approach fasting as a strength of determination, a sacrifice, or an overcoming of self-will. Fasting, however, is ultimately an emptying of one’s self to be filled with God achieved not by our own strength but from God’s work in us (Philippians 2:12, 13) through the strength he provides (1 Peter 4:11). Fasting serves as a compliment to the prayers we pray. In many ways it adds an extra dimension of intensity and earnest desire than our routine, normal prayers. It also moves us beyond a simple tool for seeking those things we desire and moves us toward something greater than provision, protection, or guidance—God Himself. As you empty yourself through fasting, God promises “open wide your mouth and I will fill it.” Through fasting, God promises to reward us by aligning our hearts with His purposes and desires, as “He satisfies the thirsty and fills the hungry with good things” (Psalm 107:9). Thank the Father that as you fast and earnestly seek after His purposes, He hears your prayers and responds (Ezra 8:23). Ask the Father to reveal His purposes to you, naming specific areas where your need His guidance (Judges 20:26). Tell the Father about situations in which you or your loved ones need deliverance or protection (2 Chronicles 20:3–4; Ezra 8:21–23). Ask the Father reveals areas of your life that are not pleasing to Him. “Pour out” your heart to Him and repent (1 Samuel 7:6; Jonah 3:5–8). Surrender yourself entirely to the Father’s will asking that He use you for His glory (Matthew 4:1–11). Spend time in worship, expressing your love and devotion to the Father (Luke 2:37, Psalm 107:9). 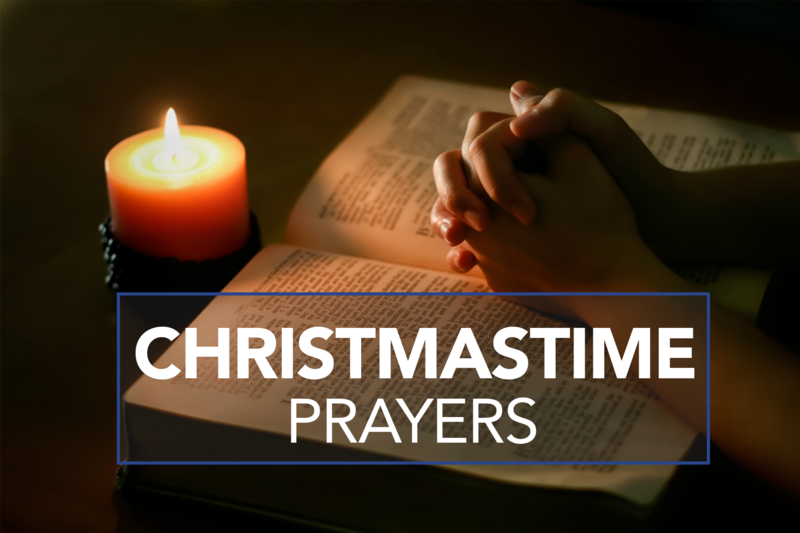 The Christmas and New Year holidays present us with limitless opportunities to pray. In addition to the hustle and bustle of the season that can often distract us from what matters most, many people experience an array of emotions as the holidays bring feelings of loneliness, loss, anxiety, and depression. This month, we invite you to think about those around you who may be suffering this holiday season. Consider those who might need extra prayer covering and support. Pray with us in remembering those who are far from loved ones this holiday season. Below are prayer directives to help you engage in prayers of hope, help, and healing for those in desperate need this season. Pray for God’s protection upon all who are traveling throughout the Christmas holidays. Pray for a sense of God’s presence and mutual love as families and friends gather. Pray for healing and harmony for strained family relationships. Pray that those unable to be with family will enjoy the fellowship of friends. Remember missionaries, pastors, students, and those serving in their nation’s military to name a few. Pray for the Holy Spirit’s comfort upon family and friends who have lost loved ones this year. Pray for families and friends who have loved ones in the military and pray for divine protection and comfort upon military personnel separated from family. Pray for missionary parents and children who are apart during the holidays. Pray for those struggling financially who cannot afford gifts and special holiday meals. Pray that people who do not yet know Christ as Savior will accept His gift of salvation. Download this prayer guide as a bulletin insert by clicking here. Let us know you are praying with us by using #COGOPprays on social media to share your requests, inspirations, and praise reports. As printed in the January 2016 issue of the White Wing Messenger. During this time of seeking let’s invite everyone to participate—even the children. Let’s provide age-appropriate opportunities for them to be present and attentive to God. Prepare the children to join in fasting during the season of seeking. Share what fasting is using the Bible story of Jesus fasting. Just as Jesus was led by God’s Spirit to fast, God calls us to times of fasting as well. Why? Fasting helps us to focus on Him. Sometimes we are distracted by all that we have—food and drink, media, sports, and more. When we willingly give up something, it causes us to consider God and what His desires are for us. Fasting also helps us to focus on particular needs or issues. During this time of seeking we will focus on seeking God for His plans for our congregation, our families, our communities, and the world. What habit or activity might I give up so that I can better focus on God? Children might consider TV viewing, social media, video games, sporting events, etc. What is a specific meal, food, or drink that I enjoy that I am willing to give up? Could I give up my allowance, gifts of money, or money I earn doing chores to provide for someone in need? Include children in a congregational pledge to fast during this season of seeking. For example, pass out notecards to everyone. Have children as well as adults write or draw their fasting pledge and place it in a designated place. Prayers for the world. Place pictures on the wall of countries that you will focus on in prayer. Include a list (pictures too) of the specific prayer needs of that country and our church leaders there. 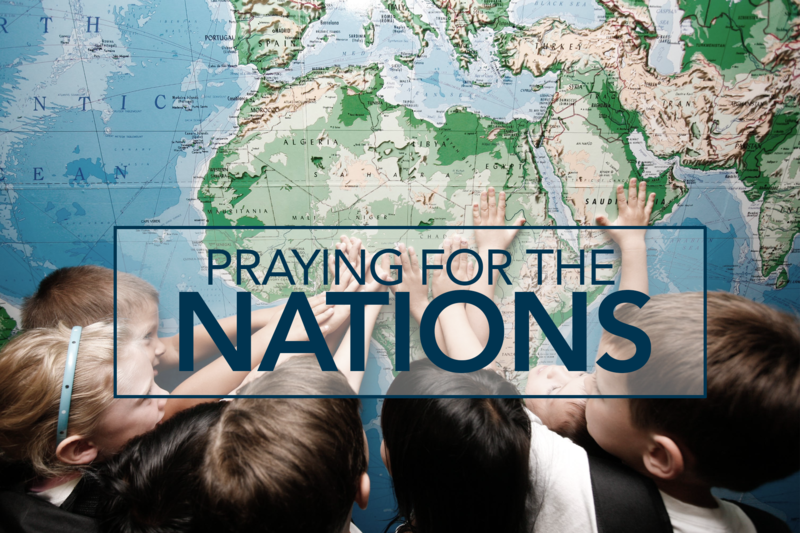 Invite your congregation to move around the room praying for each nation. Prayers for personal needs. Create a wall of mesh wire. Provide strips of colored cloth. Create a chart that shows what prayer need each color represents. For example: white might represent salvation, brown might represent physical needs, yellow might represent health needs, green might represent financial needs, etc. Participants take a strip that represents their personal prayer need and tie it on the wire. They then pray for the prayer needs represented by each of the strips already tied on the wire. Prayers for Christians who are being persecuted. Set up a cross. Prepare a brief written statement or audio or video recording to challenge people to pray for persecuted Christians around the world. Provide pushpins. Participants push a pin into the cross then pray for those who are suffering around the world because they are Christians. Prayers for our communities. Have a large sheet of bulletin board paper with the name of your church community written at the top and the words, “I will pray and I will serve.” Ask each participant to draw their hand on a sheet of construction paper, cut it out, and write their name on it. After praying for the needs of the community, they may tape their hand on the paper as a commitment to pray and serve. When Moses petitioned Pharaoh to take the people of Israel into the wilderness, Pharaoh asked, “Tell me who will be going.” Moses answered without hesitation, “We will go with our young and our old, with our sons and our daughters, and with our flocks and herds, because we are to celebrate a festival to the Lord” (Genesis 10:8, 9). “We remember before our God and Father your work produced by faith, your labor prompted by love, and your endurance inspired by hope in our Lord Jesus Christ.” (1 Thessalonians 1:3 NIV). NextGen leaders promote a holistic vision for the next generation’s spiritual growth from infancy to college. They partner with families and other ministries in the local church to ensure that there is a unified strategy for reaching, developing, and deploying the next generation into the harvest. Our constant prayer support, therefore, adds another layer of defense against Satan’s attack on their lives, family, and ministry; increases the effectiveness of their work; and blesses and strengthens the local church. Pray that the Holy Spirit would be poured our daily in the life of each NextGen leader (Ephesians 5:18). Pray for vision and the leading of the Holy Spirit in NextGen ministries’ across our network (Habakkuk 2:2). Pray that NextGen leaders would be thoroughly equipped and fully resourced to win, disciple, and develop students (2 Timothy 3:16, 17; 2 Timothy 4:2, 5). Pray that NextGen leaders would cultivate a personal ministry of intercession and compassion for students (1 Thessalonians 5:16–18; Matthew 9:36). 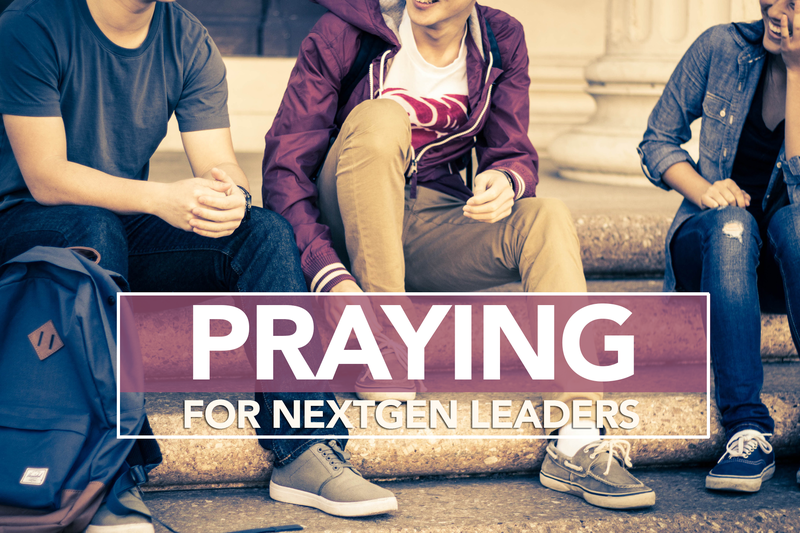 Pray that NextGen leaders would be positive role models and mentors (1 Corinthians 11:1; 2 Timothy 2:22). Pray for collaboration, communication, and synergy among NextGen leaders, ministry teams and lead pastors. Pray that NextGen leaders would pursue partnerships within their local communities (e.g., schools, sports, youth shelters, detention centers, etc.) to strengthen families and spread the Gospel (Matthew 28:19, 20). As the Church of God of Prophecy approaches a significant milestone, the 100th International Assembly, we will focus this month’s prayers on giving thanks to God for the heritage of this movement, share the present needs of our local congregations, and seek His divine direction for the future of our local and corporate bodies. 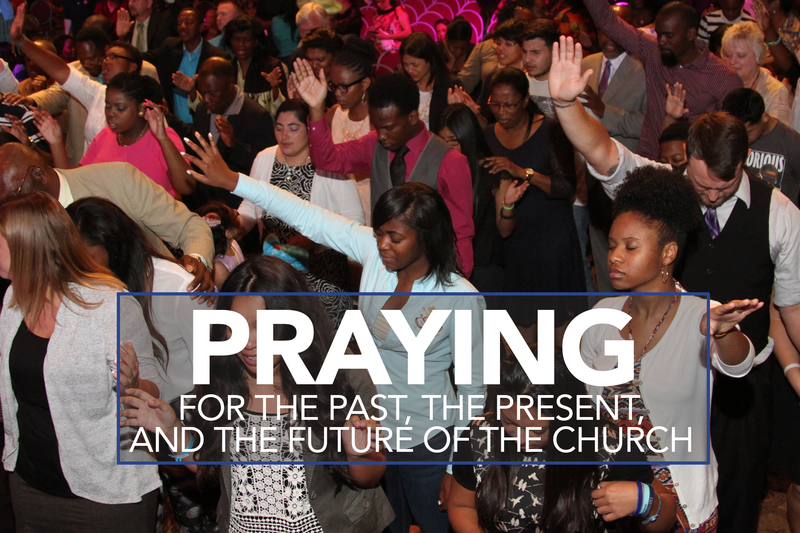 Join with us this month in remembering the past, celebrating our present, and anticipating our future through prayer. Give thanks to Father for your personal salvation and journey of faith. Praise the Father for the influence of your local church on your life. With thanksgiving, recall individuals who impacted your faith walk and celebrate the gifts of God in their lives. Thank the Father for the ministry of the Church of God of Prophecy. Thank Him for the obedience of the early church fathers and mothers who sought his purposes and sacrificed so that his plan could be accomplished. Give thanks for the global vision of the church, her impact in 135 nations of the world, and for her historical inclusiveness across racial and gender lines. Praise God for the present work of your local church. Thank Him for His faithfulness to your church and ask for opportunities to make a greater impact in your community. Confess to Him any areas of difficulty, discord, or division in your church. Ask the Holy Spirit to bring unity, direction, and help to these situations. Pray for the leaders of your local church including your pastor, ministry leaders, deacons/deaconesses, teachers, youth/children’s workers, church committees, etc. Ask the Father to give your pastor and congregation an unobstructed vision. Pray that the Father would let genuine faith, hope, and love arise in your congregation so that those in your community could see and be drawn to Him. Ask the Father to lead your church into the plenteous harvest fields that are all around your congregation.